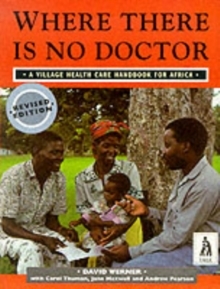 With 3 million copies in print in over 50 languages, Where There Is No Doctor is the most widely used health care manual in use in developing countries today. Using simple language and hundreds of drawings, the book provides information about recognising, treating and preventing common illnesses and injuries. But it is far more than simple first aid information. It covers a wide range of subjects that affect the health of the villager - from diarrhoea to tuberculosis, from helpful and harmful home remedies to the cautious use of certain modern medicines. Special importance is placed on cleanliness, a healthy diet, vaccination, childbirth and family planning. The African edition covers diseases commonly found in Africa.